The mission of The Foundation is to raise the public’s awareness of the important historical role Hawaii and its people played not only in the life of Dr. Sun Yat-sen, the acknowledged Father of Modern China, but also in the founding of modern China. This role included his attending high schools at what are now known as Iolani School and Punahou School from 1879-1883, and later in the critical voluntary financial and manpower support he received for the revolution leading to the overthrow of the last emperor of China. The revolution brought an end to the Manchu / Qing Dynasty and culminated in Dr. Sun becoming the first provisional President of the Republic of China in 1912. 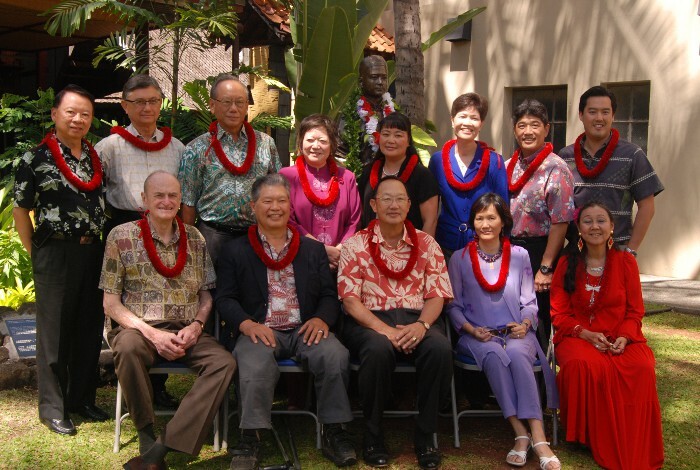 The Dr. Sun Yat-sen Hawaii Foundation was formed as a non-profit in 1997. It researches, chronicles, documents and exhibits the important historical links between Dr. Sun and Hawaii’s people and institutions who made many contributions supporting him in his efforts to modernize China. Steven Ai – President of City Mill, Ltd. His grandfather, Chung-kun Ai, was a classmate of Dr. Sun at Iolani school and an early supporter and an active member of his revolutionary organizations. Rosita Chang, Ph.D. CFA, CFP® – is the co-director of the Asia Pacific Financial Markets Research Center at the Shidler College of Business at the University of Hawaii at Manoa. Her current research interests include issues related to Chinese capital markets and financial services industry. In addition, she has conducted commissioned studies for international institutions such as the Organisation for Economic Cooperation and Development, Securities & Futures Commission of Hong Kong, and several Asian stock exchanges. Kenneth Chong – Real estate developer and consultant, and past President of the Chinese Chamber of Commerce (1996). His areas of activity include affairs concerning China-U.S. relations and Hawai’i’s Chinese Community. Yen Chun – China business consultant. Director of Chinese Chamber of Commerce. Trustee of the China Soong Ching Ling Foundation in Beijing and Shanghai. Yen has been working closely with the Foundations in China on cultural and educational exchange projects. 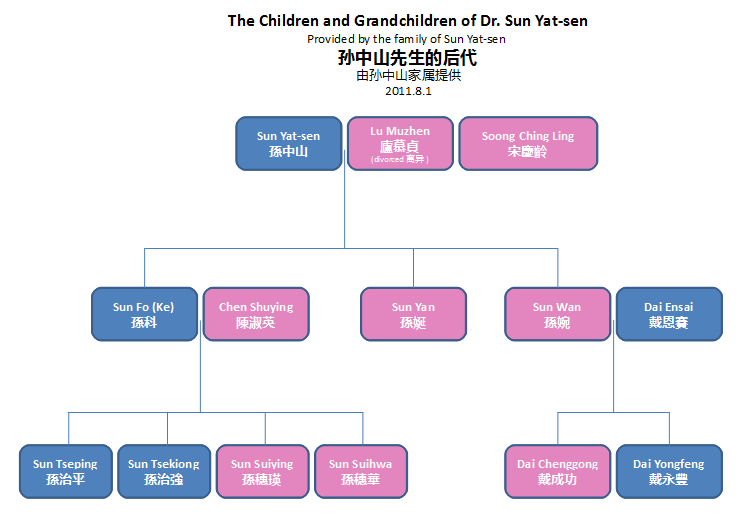 Yen is a relative of Dr. Sun Yat-sen.
Leigh-Wai Doo – Attorney, Trustee of the United Chinese Society, and President of Palolo Chinese Home. His maternal grandfather was the “Father of Aviation in China” and one of the 72 National Martyrs of Revolutionary China. Robert Lees – Executive Adviser, Asia and the Pacific for BearingPoint. Carolyn Luke – Granddaughter of Luke Chan, a close friend and supporter of Dr. Sun who helped bring the Sun family to Hawai’i after the first Canton Uprising failed. Warren Luke – Chairman, Chief Executive Officer and President of Hawaii National Bancshares, Inc.; Hawaii State Chairman for the American Bankers Association; President of the Hawaii Bankers Association; Director of the Hawaii Community Reinvestment Corporation; Chairman of the Pacific Asian Affairs Council; Hawaii Business Roundtable member; and Emeritus Director of the Chinese Chamber of Commerce of Hawaii. Joanne Tachibana – Assistant Division Supervisor & Council Committee Aide at the Honolulu City Council. Freelance writer on issues on peace, culture and education; President of the United Nations Association (UNA-USA), Hawaii Division; President and Founder of Korean Culture & Drama Club; Emeritus Publications Bureau Chief & emeritus Community Relations Coordinator for SGI-USA Hawaii. Scott Wo – Owner/Executive, C. S. Wo & Sons, Ltd. Vice Chair and past Treasurer, American Red Cross – Hawaii State Chapter; Investment Chair and past Treasurer, Aloha United Way; Investment Chair and past Board Chair and Treasurer, University of Hawaii Foundation; immediate past President, Waialae Country Club. Lucien P. Wong – President and owner of Lucien Wong & Associates LLC a business consulting firm specializing in real estate development. 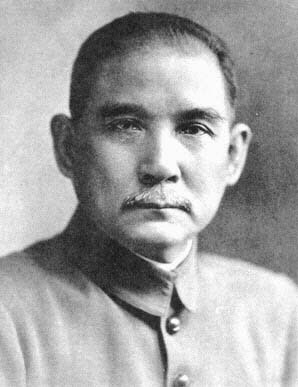 He is one of the original founders of the Dr. Sun Yat sen Hawaii Foundation.